Very handy, light and durable cowboy hat. Elasticated at neck and held in place with elastic under arms. 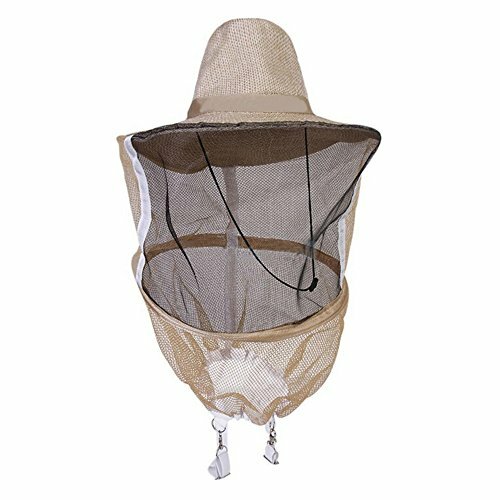 Keep mosquitoes, flies and other insects off your face while working in the garden, sleeping out, hiking, golfing or simply strolling around! Elasticated arm loops and around bottom to ensure secure fit against clothing. The hat has a wide and generous round sturdy brim, black durable mesh at front, and cowboy netting at back and sides to keep you cool.